STUNNING ONE-OF-A-KIND ORCHARD HILLS HOME WITH NUMEROUS UPGRADES AND HUGE LANAI/POOL/OUTDOOR KITCHEN ON LARGE LOT WITH NO REAR NEIGHBORS. 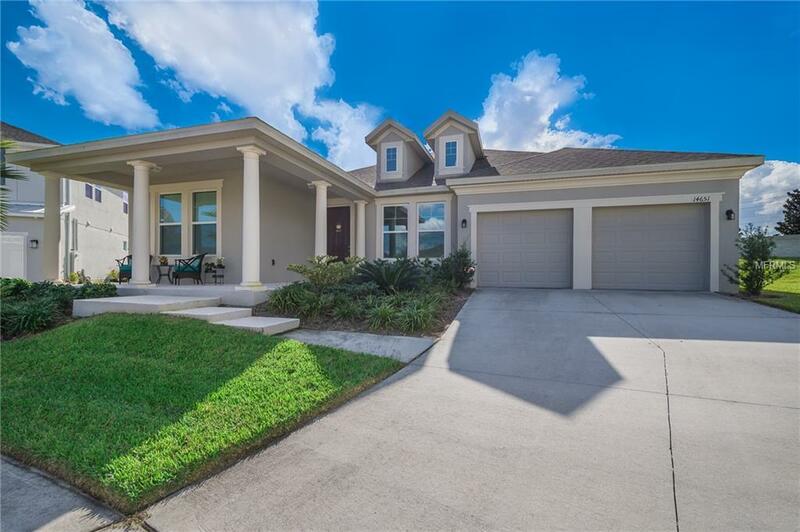 Come see this 4-bedroom 4.5 bathroom 2942 SQ FT one story open floor plan home featuring the perfect GOURMET KITCHEN with massive island, high end appliances, separate breakfast area, numerous upgraded cabinets and perfect view of family room, pool and stunning sunsetsperfect for Entertaining! All common areas (over 1400 sq ft) have been covered in the most elegant polished porcelain floor tilea must see! The rear covered lanai has been expanded by 10 ft the entire width of the home (over 650 sq ft) with an extra full pool bath and the perfect outdoor kitchen. Added is a unique pool and full screen enclosure providing an outdoor wonderland that you never want to leave! The master bedroom is large with raised ceiling, pool views, master bath with separate shower and walk in closet. The second bedroom is oversized w/ pool views + private full bath! The third and fourth bedrooms share another full bathroom in the front of the house! In addition, this home offers a den/office, separate living room, mud room, large laundry room (w cabs + sink) and an extra half bath! All grounds maintenance is included with HOA. Community features a clubhouse, fitness area, pool and playgrounds. Home is assigned to highly rated schools including the new Windermere HS. Location allows easy access to 429, Turnpike, 535, new Hamlin/Horizon West, Winder Garden Village and Disney. Listing provided courtesy of Peak Homes Inc.